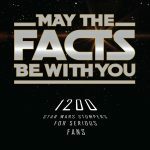 May the Facts Be With You! From Jonathan Rinzler’s ebook edition of The Making of Star Wars. Enjoy! How do you pronounce “supernova”?